In an ideal world, call center executives and managers would only have to worry about keeping customers and employees happy. In reality, cost plays a huge role in every decision, whether it’s how to staff your call center or which technology to buy. This presents an interesting dichotomy. How do you reduce call center costs and run a more efficient operation without hurting customer experience or employee morale? It’s not always easy, but it’s possible. We’ll give you a head start in four steps. High turnover is a major money drain, and we all know that call centers are notorious for high turnover rates. The average turnover rate for U.S. call centers is anywhere from 25 to 45 percent, depending on which survey you consult, and rates are even higher in some industries. For each $30,000 employee lost, most companies incur north of $5,000 in recruiting, hiring and training costs, according to the Center for American Progress. So how do you reduce turnover without handing out $10,000 raises? Give employees authority – Job satisfaction increases when your agents feel empowered to make decisions. Don’t require supervisor approval for every small discount or credit – allow your employees to make some of those decisions. Build in rewards – When they’re used properly, incentives go a long way toward increasing employee satisfaction. Consider implementing a pay-for-performance policy that’s based on customer satisfaction. Reward employee longevity with higher pay, increased vacation time and greater responsibilities. Employees tend to be more productive when they earn rewards. Offer flexible work schedules – Consider allowing reliable and/or long-term employees to work from home. Studies have shown that home-based workers have lower turnover rates. Analyze your own practices – If your turnover is especially high, it might be time to look inward. Is your training process thorough? Are candidates properly screened? Are you setting proper expectations by clearly defining the job responsibilities? 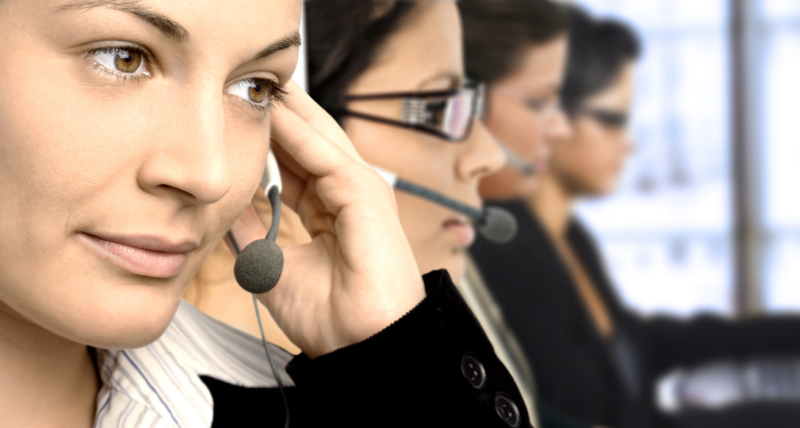 Cloud-based call center software is rapidly growing in popularity. In 2008, only 2.2 percent of call centers used cloud-based software, according to DMG Consulting. By September 2013, some 62 percent operated at least partially in the cloud. One of the main drivers of growth? The impact on call center costs. Unlike traditional on-premise systems, cloud-based software requires very little upfront capital. Most cloud providers charge a per-agent fee, so you’re only paying for the what you use. If you add agents or downsize, the software can be scaled up or down. There’s no hardware to buy, and far less is spent on call center costs like maintenance and IT. Some customer interactions require a live agent. Others don’t. If you’re not taking full advantage of self-service options, you’re wasting valuable – and expensive – employee time. Self-service features, when used appropriately, can cut call center costs and actually improve customer service. Most companies use one type of self service: traditional IVRs. But some fail to take advantage of newer technologies such as virtual agents and speech-enabled IVR. Offering several methods of self-service interaction allows the customer to choose how they prefer to interact – and it increases the likelihood that they’ll use self service. The capital expenditure for the technology can be recouped in reduced call center costs. Call center experts agree that self-service features work best for simple transactions such as updating an address, checking a bank balance or changing a password. These transactions don’t require a human being, and in many cases the customer would rather not chat with a human being. They’d rather complete the task quickly and move on. From a customer’s perspective, there’s nothing worse than having to make several phone calls to get an answer to a simple question. Equally frustrating: getting bounced around from one department to the next, having to repeat information that was punched into an IVR when an agent finally picks up, and talking to an agent who is clueless about the customer’s past interactions with the company. The longer it takes to resolve a customer’s issue or answer a question, the greater the impact on your call center costs. To streamline the process, think from the customer’s perspective. Build your processes in a way that promotes the best, most efficient customer experience. You’ll make customers happy and cut call center costs.